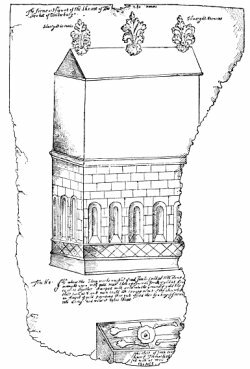 Below is the present view of the location of the martydom. 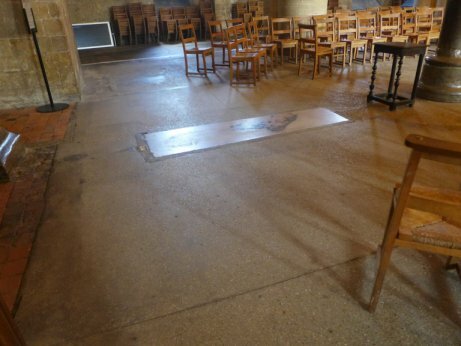 Here, in one of the most sacred places in the cathedral, was placed the medieval shrine known as the altar of the sword's point, containing the point of the sword of Le Breton, broken off during the attack. Here is an account of the attack by Edward Grim, who himself was injured. 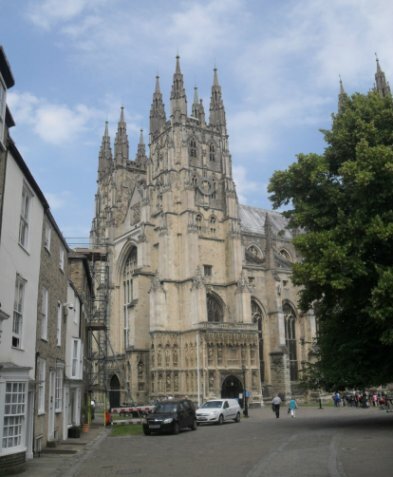 Grim was a clerk from Cambridge, visiting Canterbury. He attempted to protect Becket. and nearly lost his arm. He is often included in images of the martyrdom. 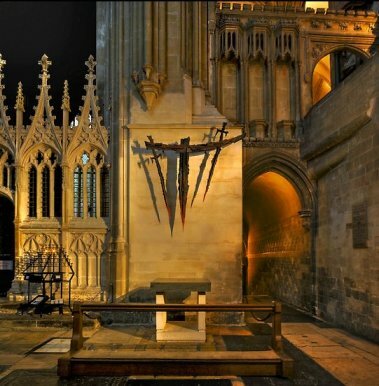 Becket was first buried in the cathedral crypt; the location is shown below. 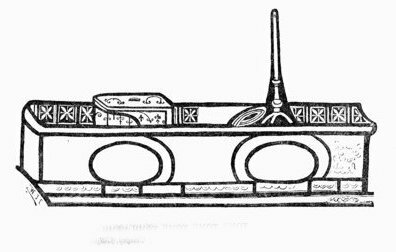 The first relatively simple shrine is shown here in a drawing based on a window that we will see later. The spaces allowed pilgrims to put head and shoulders into the shrine: the box on the top contained remains of blood and bones. 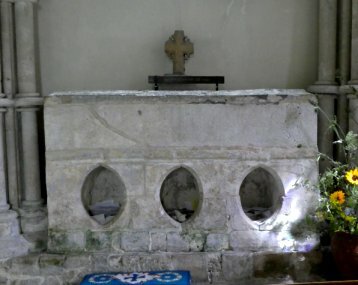 The photograph below is of the shrine of Saint Wite, in the church of St Candida and the Holy Cross in Whitchurch Canonicorum in Dorset. 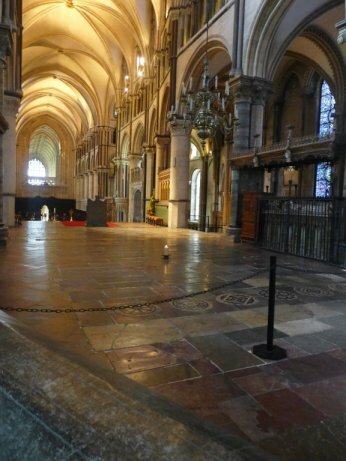 It is the only church shrine remaining in England post reformation and gives an idea of the appearance of medieval shrines. Interestingly, on our visit we noticed that many written appeals to the saint had been left inside the shrine.